I'm not a big fan when it comes to tong sui & I cringe each time when being asked to eat a bowl. Nevertheless, I still can make it an exception when sharing it with WL. Hours earlier, we had a satisfying dinner at KFC SS2. Burp~ The night was still young & both of us were reluctant to head home early. And I had a sudden craving for tau foo fa & just had to lay my hands on it again after eating it yesterday. My choice was a soya beancurd sweetened with palm sugar powder, instead of sugar cane syrup. For RM3.50, the portion is pretty huge which is quite affordable. 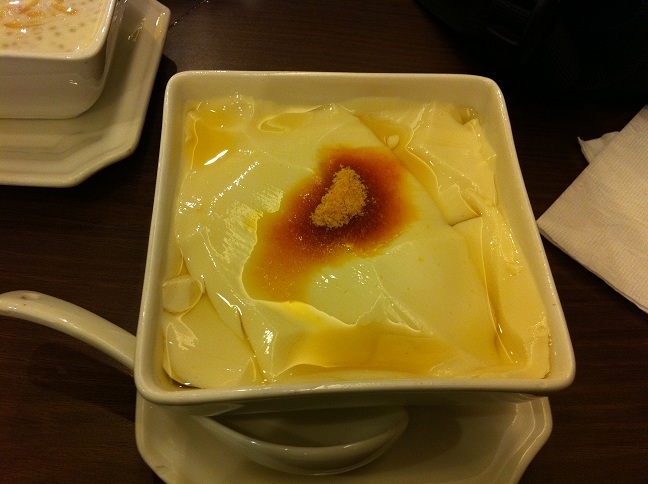 The texture is soft & very smooth which are important elements of a good bowl of beancurd. My only issue is that the palm sugar as substitute is too sweet for my liking. Hence, I still prefer the good 'ol sugar cane syrup with ginger. 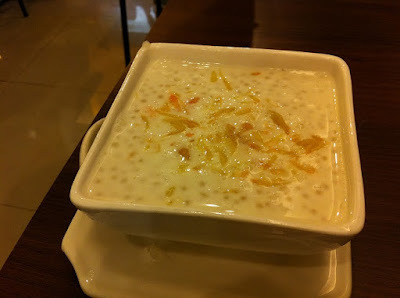 WL ordered a coconut milk with sago & pomelo. Of course, it tastes sweet & fragrant but it's nothing extraordinary. Just another dessert to indulge after a sumptuous meal. The price is okay for the portion given, in my opinion. Well, if you ask me...I would consider dropping by for a quick dessert once in a while. The desserts served are not something to die for & they're a little pricey for ordinary desserts. Anyhow, the larger portions & an air-conditioned shoplot more than make up for the slightly high price. Just don't expect too much or else you'll be disappointed. Kungfu fighting panda is back!